Now obviously this won't do . Oil feed, you need a banjoo tight fitting hose, the restrictor is in the banjoo bolt. Return. What I did was remove the part from the turbo & elongate the holes to give you a better angle & chop a bit off & rebead the end. 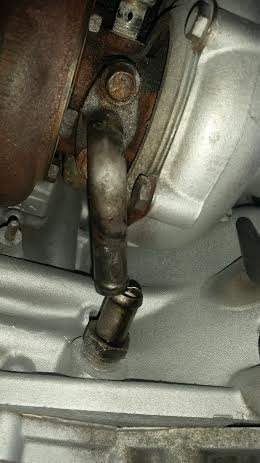 I was thinking straight adaptor for oil return and sometimes that samco hose the type that dont kink works well. Are you sure you need a restrictor as all the ones in the uk are normally supplied with them from ones i have bought and enquired about. You not fitting braided lines on turbo ? I had a similar issue with oil drain and the general consensus was to chop the pipes and put bit of aeroquip hose on it. It does work, but it does weep a bit so I would be interested in a proper solution, I didn't have time to deal with it. a couple of AN hose fittings might work well. Please note those links are just examples and not the correct size. On the 2871r you can just make the holes slightly bigger and a bet angle and the hose will go on no probs. The 3071r is much more tight, I fitted the same as you grim, then chopped a stock return pipe down and it was a nice fit. 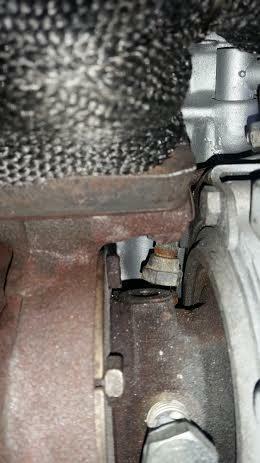 Is possible work the oil drain fitting as mentioned but it not the best. For oil feed you want -4AN line with banjo fitting & if you do not have the banjo bolt restrictor buy one as the 54C feeds more pressure than the BB cartridge requires. Picture of banjo bolt restrictor is in other thread. 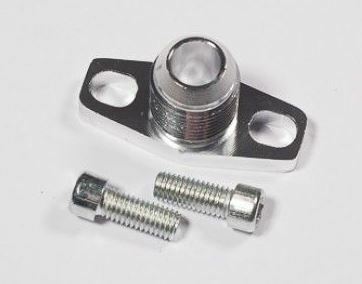 Any decent hose shop can make up lines & supply basic fittings, banjo bolt restrictor & flange plate are bit more special so good turbo shop or online is way to go & easily found. 0.9 or 1mm is the norm restrictor size. Surely fitting a restrictor before the turbo will only reduce the flow not the pressure? I work with hydraulics and when we want to restrict ram speeds we use restrictors but they maintain pressure. Garrett themselves are who recommended the restrictor if oil pressure at maxiumum rpm is greater than 45psi. Reduces pressure in the BB assembly as reduces flow/volume The BB assembly has the drainage hole so pressure is kind of balanced between volume of oil supplied & the drainage speed . 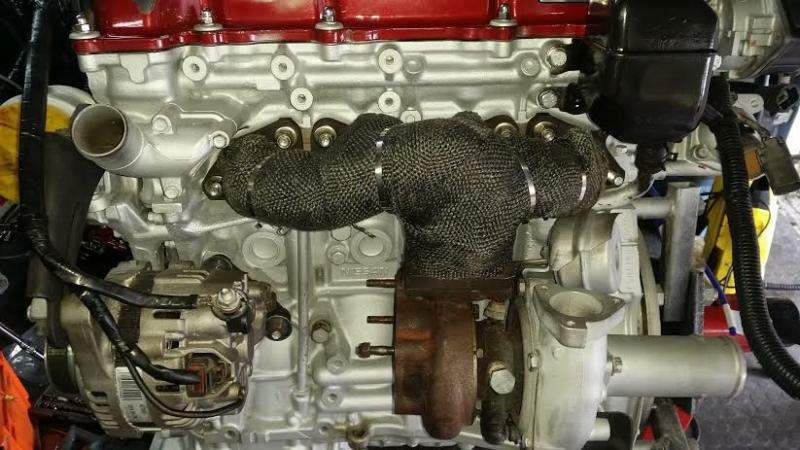 do like the charcoal colored exhaust wrap, standard manifold looks quite grand wrapped like that. @Mr B wrote: do like the charcoal colored exhaust wrap, standard manifold looks quite grand wrapped like that. It really does, making me regret not pulling the trigger on replacing mine with black wrap last year! @pulsarmoley wrote: Surely fitting a restrictor before the turbo will only reduce the flow not the pressure? I work with hydraulics and when we want to restrict ram speeds we use restrictors but they maintain pressure. 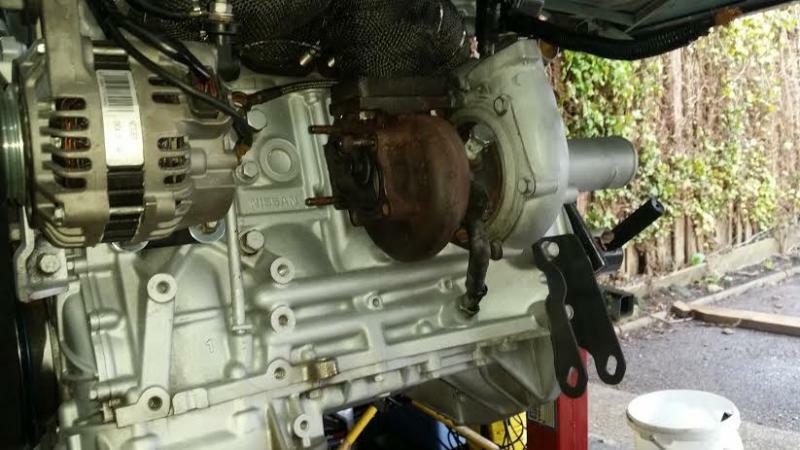 The difference is that there is an open drain after the turbo so pressure won't build. It's just maintaining enough flow through the bearing without building pressure on the seals. Yes as long as the bolt centres are correct. I know they do seel correct size stuff as I bought a drain gasket from them. If a 44mm flange it will be correct but it only a push on spur & you can turn your current one into push on spur with one cut & adding a bead. I prefer the threaded flanges to take swivel nut hose ends but have seen push on work ok & it easy do with just needing quality house & clips.